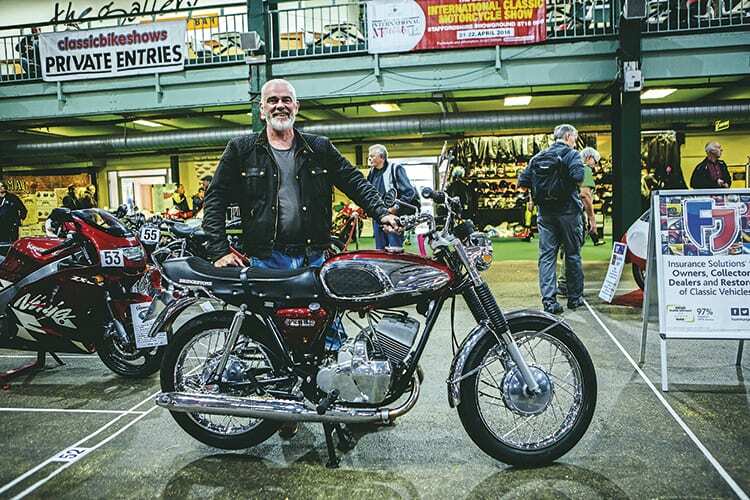 Bill Millar celebrated his 1967 Bridgestone 350GTR being chosen winner of the Rod Gibson Best in show trophy at the 2017 Classic Motorcycle Mechancis show, at Stafford over October 14/15. What’s better, Bill had ridden the Bridgestone to the show. More next month.